Robert Johanson has worked at corporate advisory firm Grant Samuel since 1993 and is responsible for its Melbourne office. Robert has 30 years’ experience in corporate finance and investment banking, including the corporate division of Macquarie Bank, and has been involved in a wide variety of capital markets transactions for leading corporations. Previously he worked as a solicitor, a law lecturer and as a consultant to mining and finance businesses. He is the Chairman of Bendigo and Adelaide Bank Limited. He is Deputy Chancellor at the University of Melbourne and Chairman of the Melbourne University Fund. He is Chairman of the Australia India Institute, a member of the Takeovers Panel and a director of the Robert Salzer Foundation, an arts foundation. Robert is also a sheep farmer. Mr Burdett graduated in geology at the University of Western Australia and worked in oil exploration for nine years before moving to Melbourne to start a mining research department for the stockbroking firm of A.C. Goode & Co. He became a partner of the firm and in 1984 was appointed Executive Director in charge of Institutional Sales, Research and Corporate Finance. Following the sale of A.C. Goode & Co. to National Australia Bank in 1987, Bill was Founding Chairman and Chief Executive of Burdett, Buckeridge & Young, an institutional stockbroker. Since December, 2005, Bill has been Chairman of Neurosciences Victoria, a company which markets Victoria's world-class neuroscience cluster. Caroline is the Executive Director of The ten20 Foundation, a venture philanthropy organisation that in ten years, seeks to transform the lives of children and young people in 20 of Australia’s most disadvantaged communities. 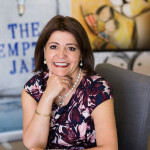 She has over twenty years’ experience providing strategic focus and management support to corporates, government and non profit organisations. Following ten years with Accenture’s Strategy Group across Australia, Asia and the US, Caroline has directed her passion and skills toward generating social change for our most disadvantaged communities. 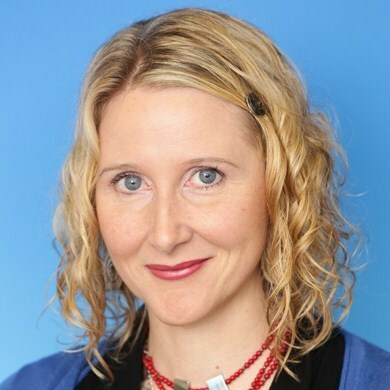 She has served as Director of Strategic Planning for the US non profit New Sector Alliance and as Strategy and Performance Manager for Social Ventures Australia. She holds a BA (Hons) from The University of Melbourne, an MBA from the International Institute of Management Development (IMD) in Lausanne, Switzerland and a diploma in Managing Non Profit Organizations from Harvard University, Boston, USA. She serves on the Board of the VCA Foundation (Victorian College of the Arts), Play For Life and the Australian Friends of Asha Slums and is an Ambassador for the Melbourne Human Rights Film Festival. Ross Fitzgerald is a Director of Visy Industries, and the Founding CEO of Spectrum Venture Management. Ross is committed to promoting greater friendship, mutual understanding and co-operation between Australia and India. To this end, he is co-chairman, the Australia India Leadership Dialogue and the India Australia Israel Food and Water Security Dialogue and a board member of the Australia India Institute and the Indian Film Festival of Melbourne. Ross was formerly a consultant with McKinsey & Co., and he has an MBA from Harvard Business School. Vicki Kyritsis is Communications Manager at inTouch Multicultural Centre Against Family Violence. Prior to joining inTouch Vicki worked for Fairfax Business Media, CEDA – the Committee for Economic Development Australia, State Government in the Child Protection and Juvenile Justice Branch and at the Austin and Repatriation Medical Centre.Vicki has undergraduate degrees in Arts from La Trobe University and Social Work from Monash University. She also has post-graduate qualifications from RMIT University and Melbourne Business School. Vicki is a qualified trainer and taught Communications at RMIT University to undergraduate students.Vicki also serves on the Board of the Australian Centre for Grief and Bereavement. Richard is a partner of the national law firm Corrs Chambers Westgarth. As a commercial litigator and media lawyer, Richard has established long-lasting relationships with his clients – including Channel Seven, the Catholic Archdiocese of Melbourne and Victorian Workcover Authority. Richard is the pro bono partner for Corrs’ Melbourne Office. Richard is the Deputy Chairman of the Royal Children’s Hospital Foundation, a director of The Conversation Media Group, a member of the Law Council of Australia’s Media and Communications Committee, a Committee member of the Melbourne Press Club Committee, a member of the Law Institute of Victoria’s Courts Practice Committee and sits on the Advisory Board of the Centre of Media and Communication Law at Melbourne University. Dr. Kiran Martin began her medical career in 1988 as a pediatrician treating cholera in a Delhi slum, today she is an internationally recognised expert on urban health and development. Dr. Martin is the founder and director of the Delhi based NGO Asha Society. Asha works in partnership with slum communities to improve living conditions and gain access to healthcare, financial services and education. Under Dr. Martin’s leadership Asha’s programs have benefited over 400,000 people and 50 slum colonies in Delhi, and have become models for national programs throughout India. Dr. Martin received the Padma Shri, one of India’s highest civilian awards, and Asha’s work has been awarded Best Practice by UN-Habitat. She continues to live and work in Delhi, India. 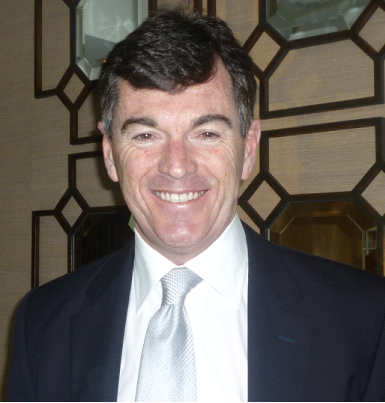 Professor McCluskey is the Deputy Vice-Chancellor (Research) at The University of Melbourne, appointed in March 2011. Prior to this he was the Pro Vice-Chancellor (Research Partnerships) and Chair of Microbiology and Immunology. Professor McCluskey trained in Perth as a physician and pathologist. He spent four years at the National Institutes of Health in the USA. On returning to Australia in 1987 he worked at Monash University until 1991 before joining Flinders University and the Australian Red Cross Blood Service. Professor McCluskey joined the University of Melbourne in 1997 and has an international reputation for his research in basic and clinical immunology and is recognised for his leadership in the field of HLA and the major histocompatibility complex (MHC). He has consulted for the Australian Red Cross for more than 20 years and is Editor-in-Chief of the international immunogenetics journal Tissue Antigens. Professor McCluskey led the development of the Peter Doherty Institute for Infection and Immunity. He is on the Board of Directors of the Walter and Eliza Hall Institute, Florey Neuroscience Institutes, Bionics Institute and is Chair of the Nossal Institute Council and the Board of Nossal Institute Limited. Elizabeth is an officer at the Department of Foreign Affairs and Trade. She currently leads Australia’s services and investment trade negotiations in the Regional Comprehensive Economic Partnership and is deputy chief negotiator of the Australia-Indonesia free trade agreement. She has represented Australia in the United Nations on climate change extensively. From 2011-14 she volunteered with Asha Society in Delhi, establishing the Asha Internship Programme and Asha Mentorship Programme, engaging corporates such as Macquarie Bank, Rio Tinto, Pepsi and Bausch and Lomb to provide workplace experience to talented Asha students. Elizabeth was formerly a lawyer at Freehills and Dwyer Durack. She holds an Executive Masters of Business Administration from Kellogg-HKUST, Masters of Law (International Law) from the Australian National University and a Bachelor of Laws (Hons)/Arts from the University of Queensland. Harish originally hails from Chennai in South India, though has lived in Australia since 1968 completing his Higher School Certificate at Melbourne Grammar School, a Bachelor of Commerce & Bachelor of Science at the Australian National University, Graduate Diploma in International Business, Monash University and a Master of Business Administration from the Monash Mt Eliza Business School. Harish has always had an active involvement in the Australia-India relationship and was past National Chairman & Victorian President of the Australia India Business Council. With a background in chartered accounting and investment banking Harish has set up a number of businesses engaged with India including most recently a business process outsourcing (BPO) unit based in Chennai. In 2002, Harish merged these BPO operations into the back office of Sundaram Business Services Limited, a subsidiary of the US$4billion Sundaram Finance Group and continues as the Global Head of Business Development. Outside of work, Harish maintains a passion for sport, especially cricket, and is also a Patron of the Australian World Orchestra. 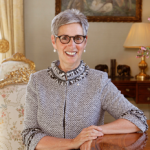 Governor Dessau was born in Melbourne in 1953, and was educated at St Catherine’s Girls’ School and the University of Melbourne, where she gained the degree of LLB (Hons). In 1975 she was admitted as a barrister and solicitor of the Supreme Court of Victoria. In 1982 she married fellow Victorian barrister, Anthony Howard, and together they took up roles as Crown Counsel, and later Senior Crown Counsel in the Hong Kong Attorney-General’s chambers, where they prosecuted criminal trials. Soon after returning to Australia in 1985, the Governor was appointed a part-time member of the Small Claims and Residential Tenancies Tribunals, taking her first judicial appointment as a Magistrate in 1986, at the age of thirty-three. In that role, she served in the Children’s Court, Coroners Court and Melbourne Magistrates’ Court where she ultimately headed the Civil division and later the Committal Court. In June 1995, the Governor was appointed a Judge of the Family Court of Australia, where she served for 18 years until July 2013. She was a Board member of the US based Association of Family and Conciliation Courts, a Council member of the Legal Aid Consultative Committee, and a Board member of the Australian Institute of Judicial Administration. The Governor was actively engaged in the area of judicial education, including as a Director of the National Judicial College of Australia, and as a long-standing faculty member and facilitator of the National Judicial Orientation Program. Outside the law, the Governor was engaged in a broad range of community organisations, including as founding Chair of the Essendon Football Club Women’s Network, President of Middle Park Primary School Council, Vice-President of Wesley College Council, a Board member of Turning Point Drug and Alcohol Centre, a member of the Royal Children’s Hospital Ethics Committee and the La Trobe University Professional Consultative Council, and a Patron of the Epilepsy Foundation and One Umbrella (food recycling charity). Immediately before her appointment as Governor, she was President of the Melbourne Festival, Chair of the Winston Churchill Memorial Trust Victorian Regional Committee and a national Board member of the Trust, a Commissioner of the Australian Football League, a Trustee of the National Gallery of Victoria, a Board member and former Chair of AFL Sportsready and Artsready, a Board member of the Unicorn Foundation, and a Patron of Sports Connect. In 2010 the Governor was made a Member of the Order of Australia for services to family law, and the community. The Governor and her husband have two sons, both of whom have completed Bachelor of Laws and Arts at Monash University. Alex Chernov was educated at Melbourne High School and then at the University of Melbourne where he gained the degrees of B.Com. and LLB (Hons). In 1968, Alex Chernov signed the Roll of Counsel at the Victorian Bar and in 1980, was appointed Queens Counsel in Victoria. Whilst a barrister, Alex Chernov played a significant role in the leadership of the legal profession and legal education in Australia and in our region. His career includes Independent Lecturer in Equity for the Council of Legal Education, Honorary Consultant to the Australian Law Reform Commission, Chairman of the Victorian Bar, Vice President of the Australian Bar Association, President of the Australian Law Council and Vice President of LawAsia. In 1997, Alex Chernov was appointed a Judge of the Trial Division of the Supreme Court of Victoria and, in 1998, was appointed to its Court of Appeal. In 1992, he became a member of the Council of the University of Melbourne and chaired a number of its major committees. In 2004, he was elected a Deputy Chancellor of the University of Melbourne and in 2009, was elected as its Chancellor. 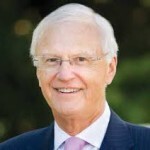 Alex Chernov was appointed an Officer of the Order of Australia in 2008 and was awarded a Companion of the Order of Australia in the 2012 Australia Day Honours. Alex Chernov was sworn in as the 28th Governor of Victoria on 8th April 2011. Alex and his wife, Elizabeth, who is also Law graduate of the University, have three children, who are also graduates of the University. They have seven grandchildren.